Nothing lends style and warmth to a room like traditional hardwood flooring—the distinctive quality of wood adds sophistication and a sense of luxury to practically any living space. 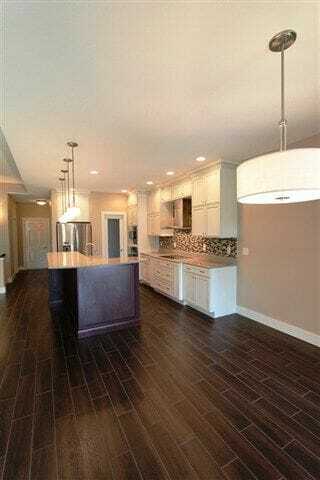 But unfortunately for many homeowners, that type of flooring just isn’t within reach. This is the exact reason we’re pretty sure wood tile flooring’s popularity has soared in recent years. The word’s out: this is an excellent—and sometimes, dare we say, superior—alternative to the real thing. The latest trend in wood floors doesn’t even involve wood. New technology allows manufacturers to create tiles that look so much like real wood that it’s almost impossible to tell the difference. The tiles are made in varying lengths and widths, with authentic-looking grains that mimic nature to near perfection. Wood grains of many different tree species are available in ceramic, giving you the flexibility of having that gorgeous wood floor you’ve always wanted without the typical headache of trying to keep it looking perfect. A common response to the idea of ceramic tile replacing the look and texture of hardwood is one of skepticism, yet the manufacturing process is so sophisticated that the visual appeal is undeniable. Far from feeling as though they have installed a second-tier material in their living spaces, homeowners at the leading edge of this new trend are certain that their choice of ceramic over wood is sure to catch on. Although it’s gaining in popularity for home use, wood tile flooring is already a mainstay in commercial buildings. From heavily grained planks used in Western museums and country stores, to polished blonde accents in office buildings, wood tile is a favorite among modern designers. It is beautiful, affordable, and practically maintenance-free. Decorating a kitchen floor with wood is a recipe for disaster, but wood tile allows kitchens, bathrooms, heavily trafficked entryways, and other wood-free zones to sport this timeless look. 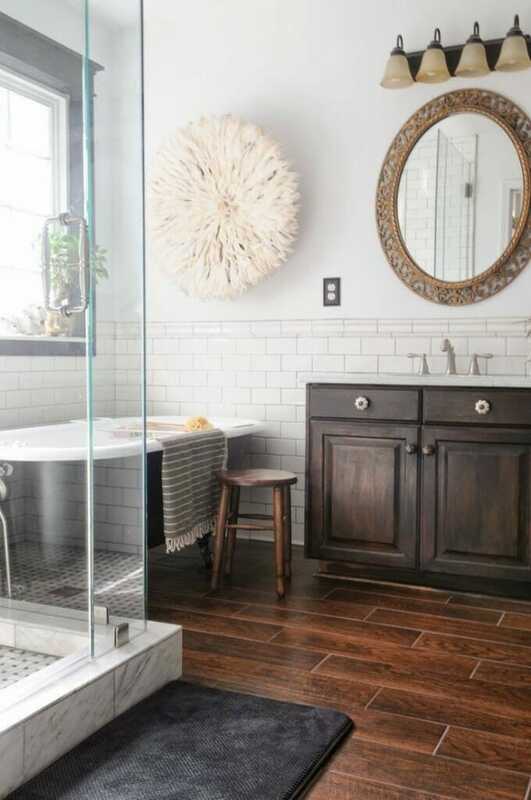 Beyond just floors, now tub or shower walls and sink backsplash areas can have the appearance of wood as well. Depending on the manufacturer, ceramic wood tile can cost as little as $2 per square foot and is rarely more than $6 per square foot. Comparatively, real hardwood floors are often many times as much and require a great deal more time, effort, and money to maintain. Whether you’re getting them for just a single room or for your entire home, you can now have worry-free style with a quality product that will stand the test of time.